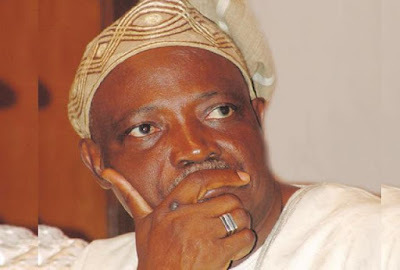 The Economic and Financial Crimes Commission claimed on Thursday that a former governor of Oyo State, Chief Rashidi Ladoja, unilaterally gave instructions in 2007 for the sale of the state’s shares at a discounted rate of N6.6bn without an executive resolution. According to the anti-graft agency, about N1.9bn out of the proceeds of the shares was not remitted to the state coffers. Rather, the anti-graft agency claimed that the money ended up partly in the pockets of Ladoja, his family members, allies and some stockbrokers. The former governor is answering eight charges alongside Waheed Akanbi, who served as the Oyo State Commissioner for Finance under him, before the Federal High Court in Lagos. Led in evidence by the prosecutor, Olufemi Olabisi, Madaki tendered before the court the letter allegedly written by Ladoja to unilaterally approve the sale of the shares at a discounted rate. One McLace Securities, he said, was one of the stockbrokerage firms which acquired shares from Fountain Securities. “Part of the proceeds was used to offset the four cars given to the first accused person (Ladoja), which he confirmed. That too, the first accused person has not refunded the value of the cars neither did his family members and associates refund what was given to them; all these were part of the proceeds. “I can name the cars for clarity. There is a jeep; there are a bus and two cars out of the cars supplied to members of the House of Assembly loyal to the first accused when he was governor. In the charges, Ladoja and Akanbi were accused of converting a sum of N1,932,940,032.48 belonging to Oyo State to their personal own, using a Guaranty Trust Bank account of a company, Heritage Apartments Limited. The ex-governor was also accused of converting a sum of N42m belonging to the state to his own and subsequently used it to purchase an armoured Land Cruiser jeep.